How did he activate prior knowledge of the audience? What design elements did he use in his multimedia presentation to make it engaging? What exemplified the climax of the presentation? How was this emphasized? What can you say about colors, text, and fonts in his presentation? How did his speaking/voice compliment the presentation slides? Compare and contrast Steve's presentation with your presentations you use for professional learning. What elements can you bring to your next Professional Learning opportunity? Although the video above is introducing a consumer product and NOT an instructional strategy, curricula, tool, and/or resource for educators, the intention is the same--to engage your audience and obtain buy-in on something new. To engage professionals in learning new concepts, ideas, and skills in a traditional professional setting, whether it be online or face-to-face there are three important factors-- Preparation, design/use of media, and delivery that supports the presentation. These three factors must work together for the educators you work with to stay engaged and focused because, as we know, when educators are asked to attend an event, there are many items on their mind such as grading, planning, communicating, etc. Garr Reynolds, author of the book Presentation Zen and blogger mentions these three components. 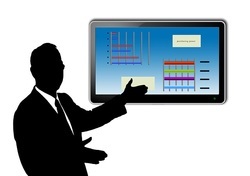 Review his Presentation Tips to self-evaluate your strengths and weaknesses. Review the blog post from PowToon entitled You Are No Longer Allowed to Present to get a better idea of these essential elements. View the PowToons Video to the right on Presentation Design to view some best practices of presentation design. Before you begin preparing your presentation, you must first think about and understand the culture of professional learning that exists. Professional learning is not just something that is important for teachers. It is important for all those involved in education from the support staff right up to the administrators. 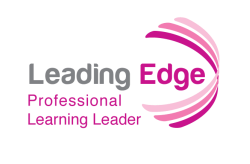 Professional learning that includes participants from support, teaching and administration at the same time can help to bridge the divisions between groups. When differing groups work together, there is a greater chance of understanding each others work and also in forging bonds between the groups to work towards a common purpose. Developing a culture of continuous learning and modeling the use of personal learning networks will be key to engaging students and the community. Below we focus on professional learning for teachers. Quality teachers can be one of the greatest determinants of student achievement. Teacher’s education, ability, and experience account for more variation in student achievement than all other factors. Studies have found that 40 to 90 percent of the difference in student test scores can be attributed to teacher quality (Darling-Hammond and Ball, Teaching for High Standards: What Policymakers Need to Know and Be Able to Do). What’s more, teachers are under more pressure than ever to perform, help students produce high test scores, and demonstrate effectiveness in the classroom. Knowing the subject matter, understanding how students learn, and practicing effective teaching methods translate into greater student achievement. Therefore, it is vitally important that teachers be well prepared when they begin teaching and that they continue to improve their knowledge and skills throughout their careers. Despite the difficulty of finding specific methods for professional learning, there are several resources that can help districts, schools and educators take the correct steps toward better and more effective professional learning. Many teachers also reported acquiring professional learning through collaborative and reflective activities outside traditional training settings. The graph below from research in 2003-04 shows the large discrepancy between traditional PD and a more job-embedded approach (defined in the following section). How much has really changed today and how can we develop a paradigm shift in your role as a professional developer? According to an excerpt on Professional Learning from the Center for Innovation and Improvement Handbook on Effective Implementation of School Improvement Grants (2011), "Teachers often acknowledge that the professional learning they receive is of limited usefulness to their daily work and to their professional growth." A more proven method of professional learning is that of a job-embedded approach. View the video on the right to get a better understanding of this type of professional learning. View the presentation to the right to see model of using technology for professional learning and to get a better idea how technology can support professional learning. Using an alternative presentation tool or graphic organizer other than PowerPoint or Keynote, develop a professional learning proposal to present to stakeholders in your school, district, organization, etc. For both traditional and job-embedded, share at least one professional learning opportunity, the benefit, and a specific strategy for how you can engage participants in active learning throughout.